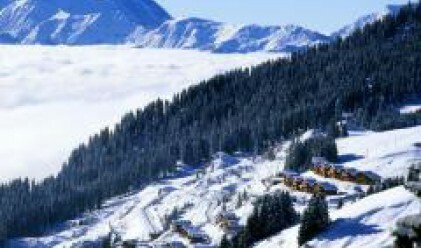 Prices of holiday homes in the central Romanian mountain resorts of Valea Prahovei and Brasov rose some 10-15 percent, while prices of land increased 30-50 percent last year, according to real estate brokerage company Coldwell Banker Affiliates of Romania, Business Standard daily reports. Similar growth is expected in 2008. Prices in the Valea Prahovei area amounts to EUR 500-800/per square meter for older holiday homes and EUR 1,200-1,600/sqm for new ones. The cost of apartments is some EUR 800-1,000/per sqm. As for land prices, these reach EUR 15-35/per sqm on the outskirts of mountain resorts, EUR 300-600/sqm in the town of Sinaia, and EUR 100-250/sqm in the resort of Busteni. In neighboring Poiana Tapului, land is worth some EUR 100-150/per sqm. Prices are significantly higher in the central city of Brasov and its outskirts, where older holiday homes sell for EUR 800-1,300/per sqm, and new ones for EUR 1,200-1,600/per sqm, excluding VAT. Apartments are worth EUR 700-1,600 per sqm, while luxury villas cost EUR 2,800-3,000/per sqm, excluding VAT. The price of land begins at EUR 15-20/per sqm, excluding VAT on the city's outskirts, rising to EUR 500-1,000/per sqm, VAT not included.